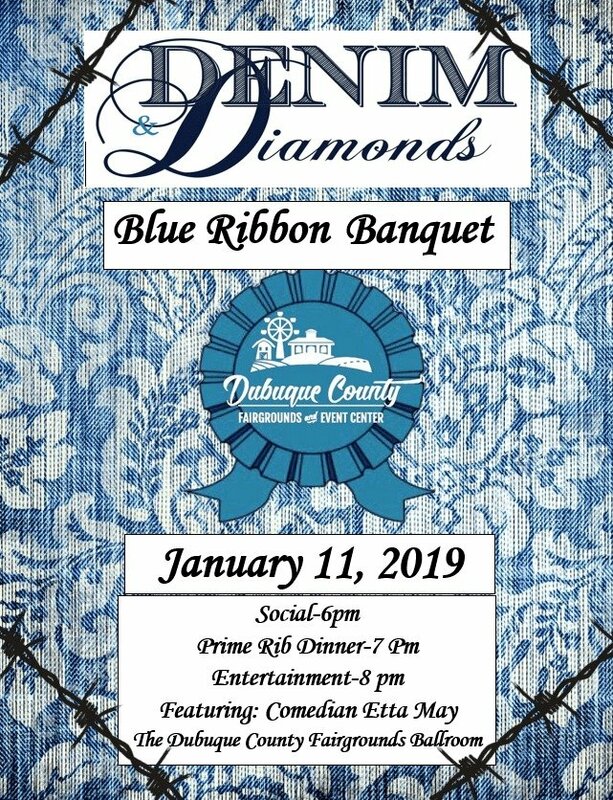 The Dubuque County Fairgrounds will be hosting it’s annual Blue Ribbon Banquet on Friday, January 11, 2019 in the Grand Ballroom. Social begins at 6pm, a prime rib dinner will be served at 7pm and the show at 8pm. Tickets cost is $50 per person and will include dinner, the show and Rail drinks, wine and bottled beer will be offered at $1 each. 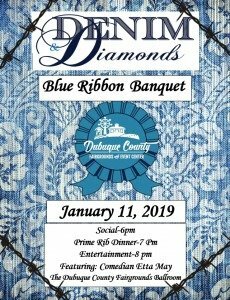 Tickets will become available for purchase at the fairgrounds office or from any fairgrounds board member after December 12th. Funds raised from the Blue Ribbon Banquet will go toward the Associations Capital Improvement Fund.